Formed in 2013, Ground Up Productions is your one stop shop for cinematic high quality photography, videography and drone services across many platforms. 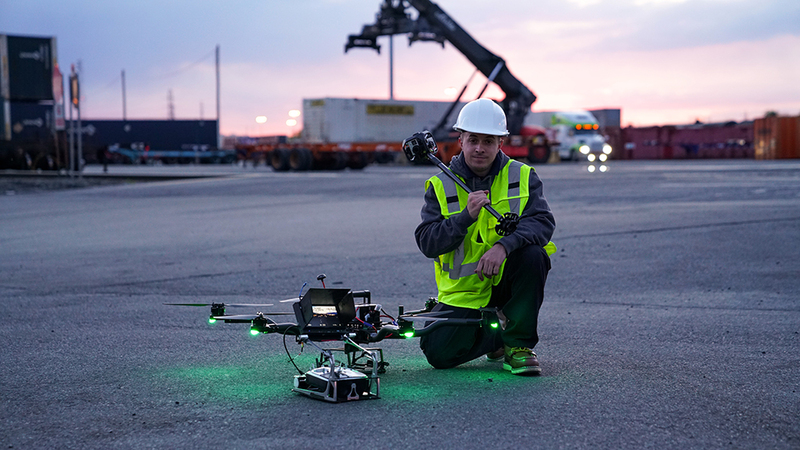 Our drone pilots follow a thorough safety checklist and are all licensed pilots. Ground Up Productions is a fully insured company with safety being our main priority. We specialize in creating content that will set you apart from your competition. In an era of information overload, Ground Up Productions creates storytelling imagery in an honest, authentic style that stands out above the rest. Matt graduated with a BS in business management from Rider University. He has professionally used camera’s as a freelancer his whole life until forming Ground Up Productions in 2013. He is a licensed drone pilot that has been flying all types of small and large UAV’s for over 6 years. Previously working in building automations as a project engineer, he found his creativity and passion was in photography and video production. He has worked with many great clients in the tri-state area and has had his footage featured on big networks like Science Channel, VisitNJ and Fox News. His creativity and dedication to his customer’s satisfaction proves that Ground Up Productions is not a faceless brand, it’s a brand that will tell your story from the ground up. Every year we donate a creative print to our local shad festival poster auction. We love participating with local artists in donating to fund scholarships for local students heading to college to study art. We have raised over $800.00 dollars over the past three years of participating. Ground Up Productions is located in Lambertville NJ, rated one of America's prettiest towns by Forbes. Life can have its difficult moments. As a small business we understand this best and when times get tough for community we are available for support and help. We donated this print to a local cancer benefit dinner in support of a caring local. Our poster raised over $1000.00 dollars in the silent auction. We believe community is what makes towns and cities all over unique and great, it is very important to our small business.